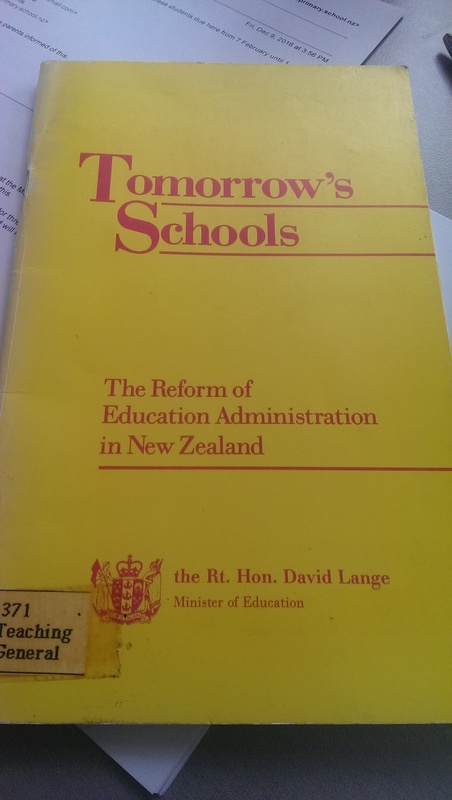 In light of the events of the last year, and the inauguration, it seemed strange to be finding some hint at hope inside the pages of a document that outlines what is still arguably of the most profound change to public education policy in New Zealand. Jefferson, Hamilton and Adams - their writings seem almost quaint when seen in the heat and vitriol of a Donald Trump. As educators how do we respond and continue to respond to Trump or any other political leader, to what they say and what they do. If our role is to be the 'informers of discretion' as described by Jefferson, then our role is absolutely a political one - a role that fosters, enables and delivers the 'power of society'. And as we head into the next four years and beyond, because our sense of many things will change irrevocably as a result of what choices are made between now and 2020, discretion seems not a quaint thing. But a powerful and active thing. Sarah Kendzior's piece This is how to be your own light in the Age of Trump closes with the simplest of words. But most of all, never lose sight of who you are and what you value. After reading her piece, I was reflecting back on my life, and the two moments in it which have felt like where we are now. I went to high school in the Philippines, and was in Manila in 1986 when people led a revolution that threw out a dictator. It was, as the link says "a sustained campaign of civil resistance against regime violence and electoral fraud." I remember that sense of hope then, in a country and for a people that utterly deserve it. And yet 30 years later the country is ruled by Rodrigo Duterte, a man who revels in brutality and cruelty. Like many others I marched through London in February, 2003. And nothing was achieved. Nothing came from the outcry. Iraq was invaded, WMD were never found, none of the leaders of any of the Western nations were ever held to account, and tens of thousands died. But today, watching this Women's March the sense of hope generated by the stories on Twitter and in mainstream media I felt different for 2 reasons. Firstly, these rallies are a release of so much emotion, that’s been bottled since November 8th. Of hurt, of anger, of fear, of disbelief. It felt like this amazing opportunity to share that all of those emotions are valid, and it's OK.
That it's OK to be afraid, and it's OK to be together, and we can make a shared stand. That it's not a simple win-lose equation, like the story is often written. Secondly, the sense of the events of the day spoke to something far greater than just an anti-Trump response because they struck me as being about “a movement, not just a moment” - they are a response to be the change, the hope that Obama proclaimed in 2008. What’s interesting is that in his leaving the White House yesterday, and the massive outpouring today, it feels as if those marching have taken responsibility for that change. Of being a change that embodies that which I know makes America (or any place) great - and that is to be generous, caring, fearless, welcoming, kind and brave. These deliberate and and discrete actions will need to continue each day as we go forward into this dislocated future. That will be hard, and we will need to look to those closest to us, and take solace in quiet places when we need to do so. Much of my optimism and hope today is cautious and tempered by my own experiences, including the ugly sense of what was the language of inauguration itself. Daily, I'm still swinging between despair and a desire to just laugh at the whole state of affairs. But I'm also emboldened by a good friend who said to me the other day - that the best thing we can do is to help those around us. 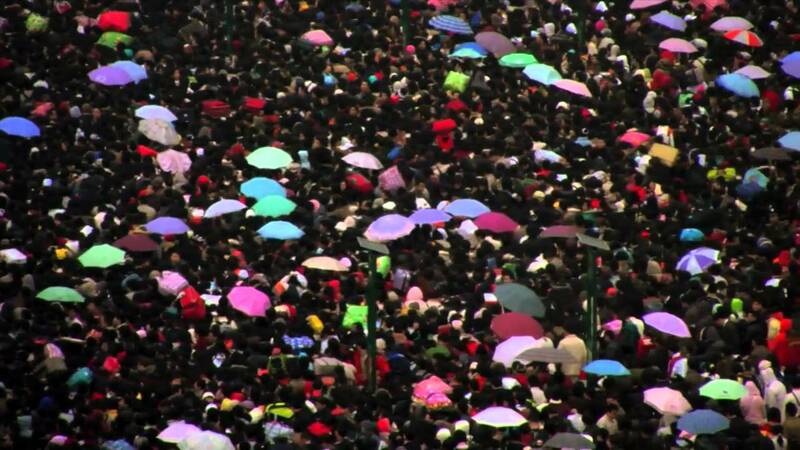 That sense is captured beautifully in this video.